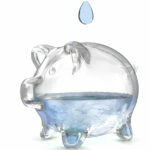 Have you ever heard a thudding sound in your roof which only occurs when using water? Often, we hear this noise after using a toilet – when the toilet finishes filling up and right at the end of the fill process we hear a thudding noise. Water hammer occurs when high pressure water is turned off and the resulting slowing down of the water pressure leads to a vibration in the tap/mixer or water pipes. 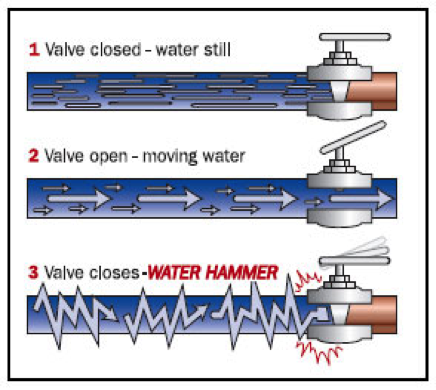 The diagram demonstrates water hammer in its simplest form. One can see from the picture that when a valve (or tap) is closed, the resulting pressure builds up immediately in the water pipe and creates a knocking noise, which can be heard either at the closed tap/valve or in the roof on the water pipes. Sometimes, the easiest solution is to tie the water pipes down in the roof. By removing the slack on the water pipes, we can prevent water hammer from occurring. 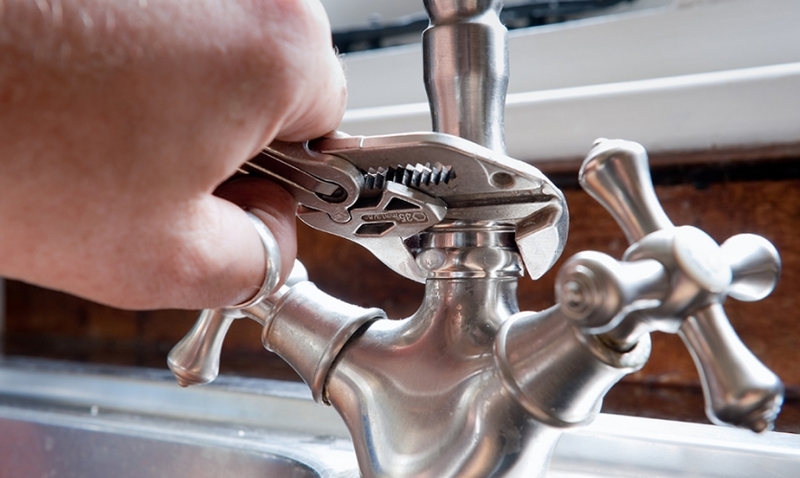 Another simple solution is to change the worn washer on the closing valve and service the closing valve itself. The above two solutions are by far the cheapest and simplest, and can be carried out very easily. 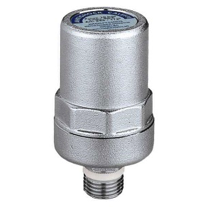 By installing a Pressure Relief/Reducing Valve or replacing the existing pressure valve, we can reduce the incoming water pressure. By lowering the initial water pressure, it lessens the chance of creating water hammer when a tap or valve is switched off. Installing a Water Hammer Arresting Valve can solve the problem in the long term. 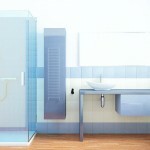 Water Hammer can be very annoying to the to the homeowner, especially when the toilet is used in the middle of the night and while filling up it sounds like the house is falling apart. There can be long terms ramifications to water hammer – the water pipes tend to take strain and the vibrations caused may lead to burst or broken pipes. In general though, one should not worry about long term damage as long as the water hammer is timeously repaired.